Our legal case review service is a most effective way of providing an efficient request for a private legal consultation with an attorney. It can improve the chances that an attorney will review your case and contact you for a legal consultation. 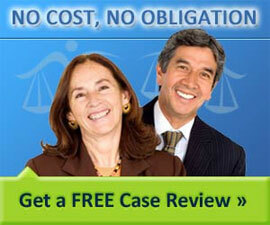 There is no obligation for any attorney to contact you nor are you obliged to use or retain an attorney. Our service consists of attorney advertising as is not a lawyer referral service. When you request a case review with us, typically the following will occur. An attorney or employee with our company or one of our third party partners will review or “screen” your case to determine whether it would be sufficient to send to an attorney. If your request passes this process, your request will be sent to one or more participating attorneys. Sending a case to an attorney does not mean or constitute an endorsement or recommendation of that attorney or law firm. We do not guarantee and are not responsible for when and whether any attorney or law firm will respond to your inquiry. We also work with third parties, such as IM Solutions and Total Attorneys who collect your data directly in their widgets and share your information with their network of attorneys for the purpose of finding you an attorney who can review your case. You can read more about their affiliate program on their sites. It is important that you understand that the information you submit using this service is NOT protected by the attorney-client confidentiality privilege so please don’t provide us with any of such sensitive information. Before having a consultation with any attorney, make sure that you confirm that: (i) the consultation will be free, (ii) the format of the consultation such as in person, by telephone or via electronic communication, (iii) the format, nature and scope of the consultation, and (iv) the status of any confidential or privileged information that you may intend to share with or provide to them. TheLaw.com, LLC and its employees, contractors and affiliates are not responsible for any advice or representation from any attorney, the attorney’s competence, communication, diligence or other reason that may arise out of your association with any attorney or individual that results from this service. We do not represent, warrant or imply anything with regard to the attorney’s qualifications, character or competence or your satisfaction with the attorney’s services. Thank you for using our web site and service.